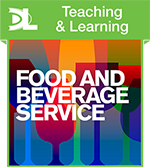 This series consists of a ninth edition of Food and Beverage Service for anyone working towards qualifications in food and beverage service, an edition specifically for Levels 1 and 2 students, whiteboard eTextbooks and online Teaching and Learning Resources. Whiteboard eTextbooks let you display pages to your class, export sections to your VLE, add notes, highlight and more! 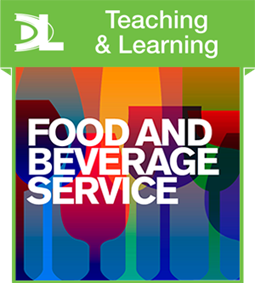 John Cousins is an international authority on food and beverage operations and the director of the Food and Beverage Training Company. 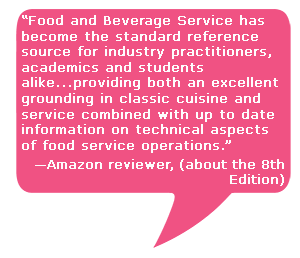 Dennis Lillicrap is a consultant and trainer in food and beverage service. Suzanne Weekes is Senior Lecturer in Hospitality Management at the University of West London. Improve your students' skills and techniques with our Dynamic Learning resources. We are proud supporters of The Clink Charity. 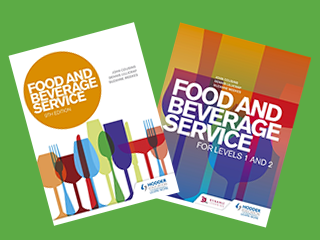 We donate copies of Food and Beverage Service for Levels 1 and 2 to this charity which reduces re-offending rates of ex-offenders by training and placing graduates upon their release into the hospitality industry. Make sure you're kept up to date with new publishing, special offers and giveaways.